Every day kids and dogs interact, play, and have fun. But unfortunately dog bites do occur – and any breed can bite. Parents should take an integral role in teaching their kids the proper way to interact with a dog. Here are some tips to keep our kids safe and dogs too! 1. When a child sees a cute puppy or dog, for most kids their first instinct is to run up to the dog and pet it! Parents must teach their children to always ask the dog owner if the dog is friendly and if they can pet the dog – as some dogs may be afraid or not well socialized with children. 2. Children should never run up to any dog, even if it is a dog they know, you don’t want them to spoke the dog. A fear bite can occur. 3. Safety first, one child at a time when meeting a new dog. 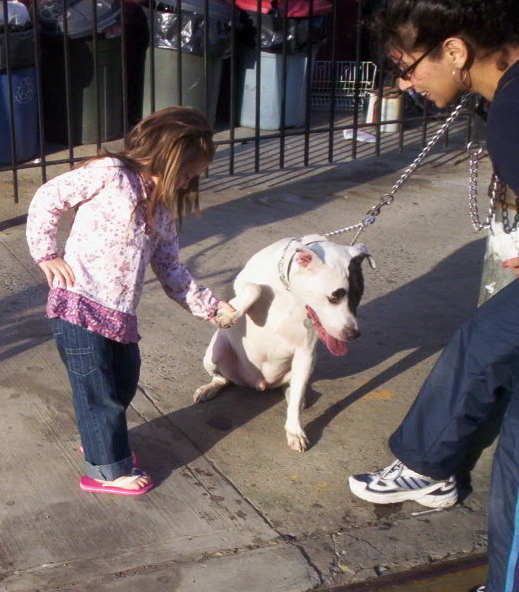 Have your child curl their fingers under their hand (like a fist) and let the dog sniff the top of the child’s hand. Once the dog sniffs, one child at a time can then gently pet the dog. 4. Watch the dog’s body language. If the dog starts backing up or pulling away from your child, most likely the dog has had enough – thank the owner for letting them say hi and continue on your walk! If when approaching the dog growls or his hair goes up – do not let your child pet the dog – something could have set the dog off, better to walk away. 5. Parents should never bring children into an enclosed dog run. Dogs running loose in a dog run can easily knock a child over and injure that child. It’s a dog run, not a playground! 6. While out walking your dog with your children, teach your children to always ask (other dog owners) if their dog can say “hi” to an oncoming leashed dog. It is a simple question to ask, and can prevent an incident from happening between the dogs. Not all dogs are dog friendly – even if your dog is the friendliest on earth! 7. Kids should know that dogs must be leashed and only brought into dog friendly parks. A sturdy leather or cotton lead is best. 8. If you are bringing a new dog into the home and are first time dog owners, parents should consult with a trainer prior to bringing the dog home. The trainer can explain to both children and parents what to expect, how to interact with the dog, etc. 9. Supervision, supervision, supervision. We are all busy – but children and dogs need to be supervised. Leaving a child alone with a new dog can be dangerous. Kids can pull on ears or tails or try and take a dog toy away and a bite can happen. 10. If you have a puppy and are attending puppy kindergarten classes – ask the trainer if your child can come too. This can be a great way for you both to learn together and have fun with your dogs! Plus kids seem to really get into the training sessions at home, even more so than the parents sometimes! Nancy E. Hassel is one of the Founding Members of the Dog Federation of New York and teaches Free! 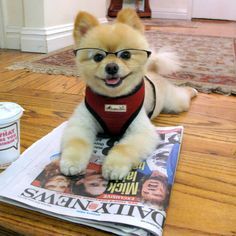 Responsible Dog Ownership Classes (education and training) in the Towns of Islip and Huntington. Working with dogs for over 20 years, Hassel is dedicated to educating and teaching people about dogs! Hassel is also the Founder of Long Island Pet Professionals. For more information on the classes or about Long Island Pet Professionals she can be contacted theFetchaBiz Marketplace: Long Island Pet Professionals.